With the snow we’ve experienced this week, we all understand winter is officially here. If you’re not interested in riding in the winter, we’ve shared ideas to help you pass time with your motorcycle! Head out to your garage and give your bike some TLC. Giving your bike a proper detail requires more than just a wipe down and will take some time. Wash, dry, and polish your bike while paying attention to anything that is loose or leaking and needs fixing. 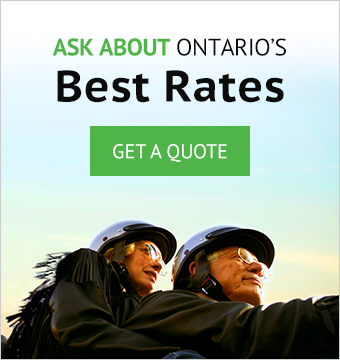 Before you head out on the road this spring, call your motorcycle insurance broker to review your policy and inquire about discounts and additional coverage that may be available to you. Need a new helmet or gloves? You can visit local motorcycle dealers to check out their gear and any deals they might be offering. You can also sign up for a rider training course online while there are still spots available. Don’t forget to mark it on your calendar. Tell all your motorcycle buddies about a bunch of motorcycle shows this winter. Don’t miss the Toronto Motorcycle Show on February 15-17, 2019 at the Enercare Centre, Exhibition Place. There are plenty of activities and entertainment for riders of all ages. If you’re just plain sick of the snow, we’d recommend you take a trip down south. You can either bring your bike with you or rent a motorcycle while you’re there and enjoy riding in the warm weather.